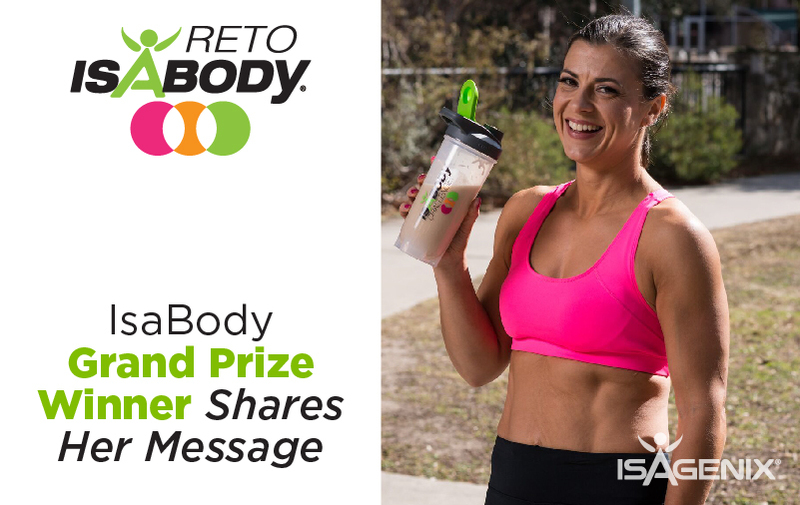 When Helen Costa-Giles heard her name announced on stage at Celebration as the 2017 IsaBody Challenge® Grand Prize Winner, at first she was frozen. A big believer in the power of visualisation, Helen visualised her name being called, but even when it happened, she still wasn’t prepared to hear it. “I was in shock,” she said. Helen’s journey to the Celebration stage was not easy. It took years and multiple Challenges to earn the title of Grand Prize Winner. As a busy career woman and mum to two young boys, Helen knew that she needed a solution after an annual visit to her doctor helped her realise how bad her health was. She was obese. Until that point, Helen thought that being tired and overweight was typical for working mothers. She didn’t know there was an answer until she learned about Isagenix and the IsaBody Challenge. From the time she started using the products and participating in IsaBody™ until now, Helen has lost 90 lbs* and developed lean muscle. She participates in Spartan Races and holds free, early morning workouts in her garage for people in her community interested in starting their own health and fitness journeys. 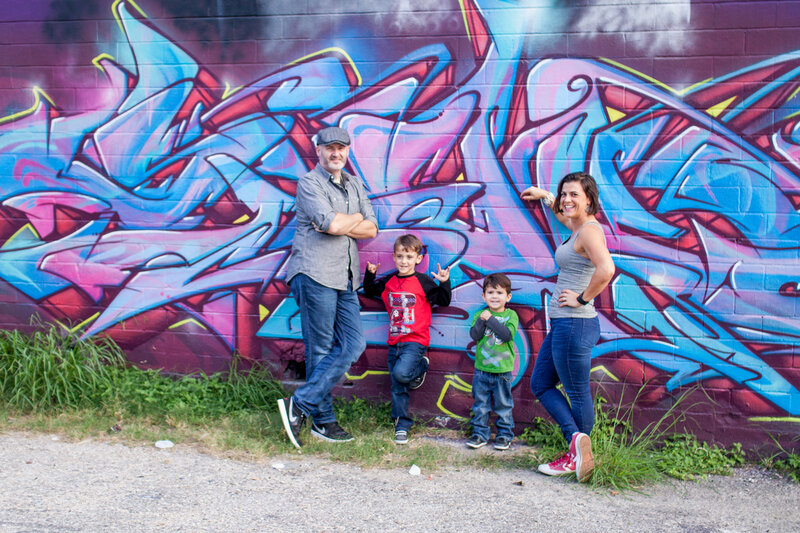 Helen also volunteers in her community, and most recently made a difference by sending Isagenix products to those affected by Hurricane Harvey, which hit near her hometown of San Antonio, Texas. Remind others what they want to focus on regarding their health and wellness goals. Encourage your team to use the Challenge as a tool. While earning a £150 product coupon and an IsaBody T-shirt is a nice incentive, Helen encourages others to “cast a vision” and create action items in addition to earning a T-shirt and product voucher. Get everyone who is struggling with the Challenge to share their stories. Your story is the most important part of this journey, and writing the IsaBody essay makes your story shareable to others. “When people tell me they want to lose 10 lbs, I dig deep to find out what that weight loss is going to do for their life,” Helen said. For Helen, it all comes down to family. While listening to Tony Robbins at Celebration 2017, Helen thought about her husband and sons and how thankful she was for their support during the IsaBody Challenge. *Results not typical. Weight loss, muscle gain, lifestyle, and other results depicted here reflect exceptional individual experiences of Isagenix Customers and should not be construed as typical or average. Results vary with individual effort, body composition, eating patterns, time, exercise, and other factors, such as genetic and physiological makeup. In a two-phase study performed from 2015-2016 by Skidmore College in New York, researchers evaluated use of Isagenix products for weight loss. As part of the weight-loss phase, the participants took part in a calorie-controlled regime of Shake Days and one Cleanse Day per week and lost an average of 24 lbs after 12 weeks. View the study results. A Cleanse Day is a nutritionally supported fast that nourishes and energises your body’s own detoxification systems. For further Cleanse Day information, visit https://www.isagenix.com/en-gb.